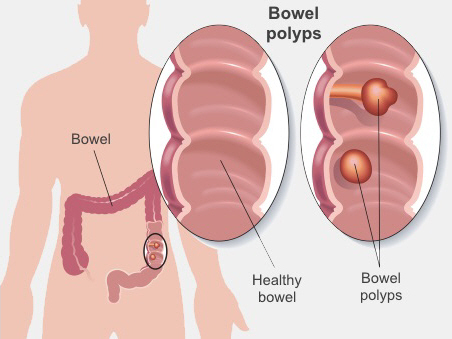 Your bowel can have different types of polyps. Most polyps aren't cancer (they are benign) and don't grow into a cancer. But some could grow into a cancer if they're left alone and are called precancerous. Adenomatous polyps are in this group that could grow into cancer. If we remove a precancerous polyp, we can prevent a bowel cancer. It is also possible to pick up bowel cancer before you have any symptoms. Finding a bowel cancer early means it is more likely to be curable and you are less likely die from it. A positive FOB test result is quite common and doesn't necessarily mean that you have bowel cancer. And a negative result doesn't necessarily mean you don't have cancer. International guidelines do advise most people should have bowel cancer screening from the age of 50 to 75. A national bowel screening programme is being introduced to New Zealand between 2017 and 2020. It isn't available in Canterbury yet. For more information, see Time to Screen's page about the programme. Written by HealthInfo clinical advisers. Adapted by clinical director, Gastroenterology, Canterbury DHB. Last reviewed April 2019.